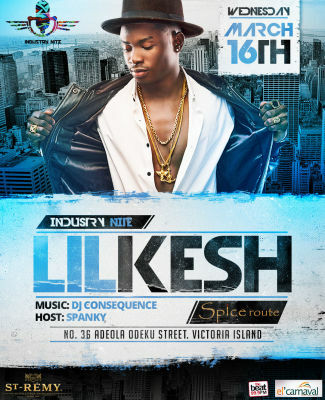 Rapper Lil Kesh will be headlining at the weekly industry Nite this wednesday. This comes off the heels of the scheduled release of his upcoming debut album ‘Y.A.G.I’ (Young And Getting It). The event will also serve as the official album listening party for the album that has collaboration from American rapper, Wale, Ycee, Olamide, Patoranking, Davido and others. The weekly event sponsored by St-Remy Authentic Brandy will hold at it’s usual venue, Spice Route on Adeola Odeku street, Victoria Island on Wednesday, March 16, 2016. Photo of the day – Who Did This To Adekunle Gold ?